Full Box of 200 pieces 12' 2" long with crimped ends. 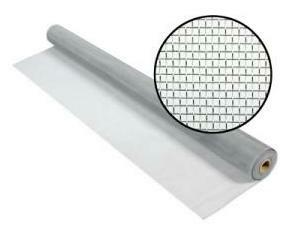 The 1/4" X 3/4" Window Screen Frame is made of .019 mill thick, roll formed aluminum. It is cambered (slightly bowed) to retain screen tension when installed. Smaller Size Commonly used to make new Mobile Home screens. Color Select Silver White (+$100.00) Bronze (+$100.00) Show Colors?